he Valley of Kashmir had been ceded by the Sikhs to the British in lieu of indemnity imposed on the Lahore Durbar. The British made it over to Maharaja Gulab Singh on March 16, 1846, for a sum of seventy-five lakhs of rupees. In this way, the territory and people of Kashmir were virtually sold to Gulab Singh by the British. Thus began the Dogra rule in Kashmir. The creation of the Jammu and Kashmir State in 1846, through the Treaty of Amritsar, was a master-stroke of British diplomacy in Asia. No doubt, Kashmir never became a part of the British India domain, but the British authorities allowed only minimum operational freedom to the Dogra rulers. In fact, the British created a buffer State of Jammu and Kashmir under the title of a “Sovereign State”’ to keep Russia at a distance from British India and to counter the Czarist Russian “menance” in Central Asia. In the middle of the 19th century, the growing menace of Russian expansion in Central Asia posed a direct threat to the security of British domain in India. So there was need to create a buffer between the two rivals in Asia. Kashmir, like Afghanistan, served the purpose. Installation of a British Commissioner in Ladakh in 1847-48 was a prelude to the forceful perpetuation of British imperialist policy in Kashmir. The British managed their Kashmir policy with extraordinary caution and subtle diplomacy. History of Kashmir in the second half of the 19th century should be studied in the backdrop of Anglo-Russian rivalry in Central Asia. Any move on the central Asian chessboard had its direct impact on Kashmir. The policies of the British in Kashmir were designed to fit in the scheme of their “frontier policy” in Central Asia. In 1885, the first British Resident was appointed in Kashmir. With this started the active British intervention in Jammu and Kashmir State. Creation of Gilgit Agency, subjugation of Chitral, establishment of a Council and finally partial deposition of Maharaja Partap Singh in 1889 was the completion of British imperialist strange-hold over Kashmir. This was managed by the British through their successive residents in Kashmir. State Peoples’ Movement in Kashmir against the autocratic rule of the Dogras started in the first quarter of 20th century. 5. Release of mosques and other religious places from State control. 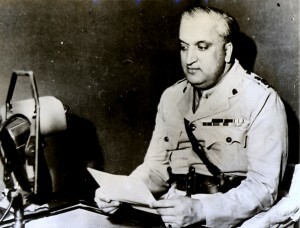 The viceroy forwarded the memorandum to Hari Singh, the Dogra ruler of Kashmir. Disturbed by this activities, Hari Singh decided to punish all those who submitted the memorandum. Sad-ud-Din Shawl and Noor Shah were expelled from the State; and, the Jagir of Hasan Shah was withdrawn. Other signatories of the memorandum apologized in writing. The Muslims of Kashmir were perturbed by the actions of Hari Singh and revolted against his orders. The Maharaja of Kashmir was compelled to withdraw the externment orders of Sad-ud-Din Shawl. This was the first conscious effort by the people of Kashmir against the autocratic rule. Shaikh Mohammed Abdullah, Mohammad Rajab, Qazi Saif-ud-Din Qari and Ghulam Ahmad Mukhtar returned from Aligarh on April 12, 1930, after completing their studies. It was during their stay at Aligarh that they developed political consciousness through their contacts with the leaders of Indian National Movement. This emboldened them to contribute articles in the newspapers of Lahore regarding the atrocities of an autocratic rule in Kashmir. No serious political party existed in Kashmir up to this time. It was in 1923 that Hargopal Kaul founded the Sanatan Dharm Sabha, with its headquarters at Rughnath Mandir, Srinagar. But the sole objective of this Sabha was to help Kashmiri Pandits in rehabilitating themselves after they received education at institutions outside the State. 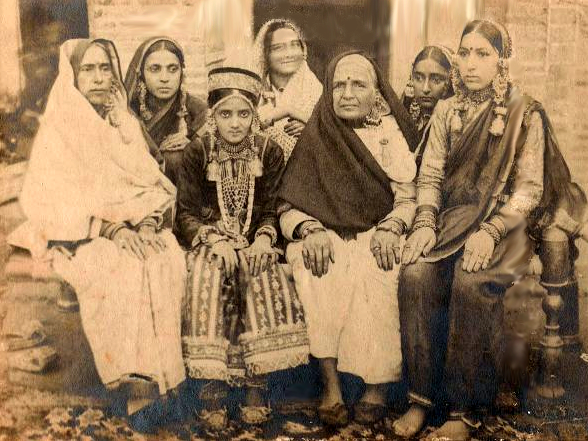 In 1924, many educated Kashmiri Pandits joined the Sabha, and they succeeded in developing contacts between the Kashmiri Pandits living in the State and those who had settled in other parts of India. Subsequently the Sabha started its move towards politics. In this way “Reading Room Party” came into existence. Regular meetings were now being organized in the Reading Room. The Party also managed to obtain statistics regarding Muslims in government service, and published them in the newspapers of Lahore - Inqilab, Mazloom Kashmir, etc. Later on these figures were also submitted to the Glancy Commission. Moulvi Mohammad Yusuf Shah and Moulvi Ahmadullah Hamadani also joined the Association subsequently. It was Moulvi Mohammad Yusuf Shah who selected the Shaikh as leader of the Association and introduced him to the public. Shaikh Mohammad Abdullah then started delivering his public speeches and demanded the government service for the educated Muslim youth, freedom of press and platform, release of religious places to Muslims and lifting of ban on religious ceremonies. After serving in Islamia High School for some time, Shaikh Mohammad Abdullah was appointed as teacher in Government High School, Srinagar. In Jammu, a Muslim Party  Youngmens’ Association was already working as a substitute under the guidance of Qazi Gauhar Rahman, Allah Rakha Sagar, Ghulam Haidar Ghori, Moulvi Ghulam Haidar Shah and others. On April 19, 1931, when the Idd was being celebrated, the local police at Jammu prohibited Imam Hai to deliver a speech at Idgah after the prayers. This injured the sentiments of Muslims in Kashmir and they protested against it. After a few days, it was reported that one police head-constable, Lobha Ram, desecrated the Holy Quran in Police Lines, Jammu. A deputation from Jammu came to Srinagar to protest against the alleged desecration. The Muslims of Kashmir were irritated any they threatened to revolt against the Dogra ruler. To defuse the situation, the transfer orders of Shaikh Mohammad Abdullah from Srinagar were issued. However, these orders were put in abeyance when the Shaikh approached the then Director of Education, Mr. Wakefield. But the orders were again issued by the State government and Shaikh Abdullah resigned from the service. This brought him into active politics and started a new era in his life. Shaikh Mohammad Abdullah announced his resignation from the government service in a public speech at Khanqah-e Mualla, Srinagar. Moulana Zafar Ali Khan, Editor ‘Zamindar’ (Lahore), was also present in this meeting. Seeing the nerve and guts of the Shaikh, he called him Sher-i-Kashmir (Lion of Kashmir) - the title which afterwards became his identity. In 1928, a Kashmir Pandit girls, Durga Devi, was murdered and her body was recovered from a drain at Karan Nagar locality in Srinagar. Some cases of cow slaughter were also reported. This naturally perturbed the Pandit community of Kashmir and they compared all these developments with the brutal aristocracies perpetrated against them in Afghan period. These incidents built up communal tension and a resultant stir in the Kashmir Pandit community. On the other hand, the Holy Quran Movement, inspired by some religious-minded people, gained momentum in Jammu. Anti-government posters were issued in the city and smuggled into the Valley of Kashmir by Abdul Majid Qureshi. One person namely Mohammad Ismail of Fatehkadal, was detained for circulating these posters. This was the first political arrest in Kashmir. 11.Shaikh Abdul Majid of Jammu. Muslims were infuriated at this massacre. Chaos and confusion prevailed on all sides. The killed and the injured were taken in a procession to Jamia Masjid. The worst communal incidents took place in Srinagar when the Hindu shops at S.R. Gunj, Zainakadal, Bohrikadal, Vicharnag and other place were plundered, looted and set ablaze. Hindus living in other parts of the city were also victimized. In fact, the Hindus of Kashmir have always suffered because of anti-government sentiments of the majority community. There was virtually no law and order; and, the city was handed over to the army. Even today, 13th July is officially marked as “MARTRYS’ DAY” throughout the Kashmir Valley and there is public holiday. Sardar Gauhar Rehman, Mistri Mohd Yoqub, Choudhry Ghulam Abbas, Moulvi Abdul Rahim and Ghulam Nabi Gilkar were detained on the night intervening July 13-14, 1931. Shaikh Abdullah was also arrested on July 14, 1931, at Jamia Masjid by Brig Sutherland and taken to Badamibagh. Jamia Masjid was converted into a political platform and Mufti Jalal-ud Din became the first ‘dictator’ (volunteer) to offer his arrest. The courtyard of the Khanqa-i Naqshband Sahib was choosen as the “martyrs’ graveyard”. Anti-government hand-written posters were issued by the Muslims and distributed in different parts of the Valley. Ghulam Mohiuddin Kara, Pir Abdul Ahad Shah and Ghulam Mohammad Sadiq were also detained. Curfew was imposed in the city of Srinagar on September 23, 1931. Fire was opened in Anantnag to disperse the demonstrators. After much criticism from within and outside for the attitude of administration, the government appointed Dalal Commission to enquire into the firing incidents. The Muslims armed with axes, sticks, ‘narchus’, etc. assembled at Khanyar to take the Maharaja to task for his indifferent attitude. Sensing the increasing dimension of the revolt, the Maharaja took administration in his own hands and dispatched his army chief, Southerland, to take the crowd into confidence and initiate negotiations with the Muslim representatives at Khanyar. Southerland managed the meeting of Mirwaiz Yusuf Shah, Sad-ud-din Shawl and Moulvi Mohammad Abdullah Vakil with Maharaja to wash off the grievances. With the help of this meeting, the Muslims agreed to postpone their proposed demonstration. But the situation remained explosive and the Dogra ruler imposed martial-law in the Valley. Martial-law courts were established at Central Jail, Police Station S.R. Gunj, Police Station Kothibagh and Exhibition Ground. Summary trails were conducted in these courts. The Muslims of Kashmir, who were settled in differents parts Punjab, became interested in the developments taking place in the Valley. A Kashmir Committee was constituted at Shimla on July14, 1931, at the residence of Zulfikar Ali Khan. Mirza Bashir-ud-Din and Abdul Rahim Dard were appointed as President and Secretary of the Committee respectively. This Committee sent the Jathas to Kashmir to fight authoritarian rule. “Kashmir Day” was celebrated in India and Burma on August14,1931. Majlis-i-Ahrar of Punjab also Started to sent the ‘Jathas’ (groups) to Kashmir to fight the authoritarian rule. “Kashmir Day” in other parts of India and Burma on August 14, 1931. ‘Majlis-i Ahrar’ of Punjab also send the ‘Jathas’ to Kashmir under the supervision of Syed Attaullah Shah Bukhari. These ‘Jathas’ came to Kashmir via Suchetgarh, where they constructed a mosque which is known as “Masjid-i-Ahrar”. Dr. Shaikh Mohammad Iqbal also visited Kashmir to access the situation here. He was appointed as President of Kashmir Committee. State administration efforts tried to take Mirwaiz Yusuf Shah into confidence. Some intruders- Abdul Aziz Fazli, Mama Pandit and Ama Pandit; arranged a secret meeting of Mirwaiz Yusuf Shah and Hari Krishen Kaul, then Prime Minister of the State, at the latter’s residence. Hari Krihen managed a telegram from Mirwaiz to the Viceroy of India saying that the conditions in Kashmir were peaceful and confirmed the loyalty of Muslims to the Dogra ruler. According to some unconfirmed sources, a yearly scholarship of Rs. 600 was sanctioned to Mirwaiz in returns for his unconditional allegiance to the Maharaja. However, the supporters of Mirwaiz refute the indictment as baseless and unfounded. Kashmiri Pandits suffered a concussion in the 1931 incidents. Kashyap Bandhu, a Kashmiri Pandit Arya Samajist, was called from Lahore to help and guide the Pandits in their survival. He was working as sub-editor of “Milap” there. “Sanatan Dharma Sabha” was converted into “Sanatan Dharam Yovak Sabha” and its headquarter was shifted to Shitalnath, Srinagar. Prem Nath Bazaz was appointed as its first President. Kashyap Bandhu started the daily “Martand” in Kashmir, which became the official organ of the Sabha. On November 12,1931, the Maharaja announced the appointment of Glancy Commission to look into the grievances of different communities of the State. Shaikh Mohammad Abdullah and his associates were released from jail on the provisional condition that he would isolate himself from politics. Mirwaiz Yusuf Shah asked Shaikh Mohammad Abdullah to distance himself from politics for sometime so that the situation can be brought under control. This irritated the Shaikh and he sensed a conspiracy between Mirwaiz and Maharaja. He specifically refused to obey the dictates of Mirwaiz and began to deliver anti-government speeches as usual. Irritated by the activities of Shaikh Mohammad Abdullah, Mirwaiz publically declared some “clean shaved” persons as the agents of ‘Mirzais’, who were misleading the Muslims of Kashmir for their personal interests. Mirwaiz passed these remarks in his sermon at Gadayar Masjid and the innuendo was directed at the Shaikh. It was after these remarks of Mirwaiz that Shaikh Mohammad Abdullah started to grow the beard. However, Mirwaiz-Shaikh rivalry was seriously felt. Maulvi Ahmadullah Hamadani, another Mirwaiz, announced his unconditional support to Shaikh Mohammad Abdullah. The “pirzadas” then came into open strife with Mirwaiz Yusuf Shah. It was on October 19, 1931, that the Muslims of Kashmir submitted through Sad-ud Din Shawl a memorandum to the Maharaja against the police atrocities. The Maharaja appointed Middleton Commission to investigate into the firing incidents in the Valley. As majority of Muslims in Kashmir were illiterate, Middleton Commission employed the service of a student from Sri Partap College, Mirza Afzal Beg, as English translator. About 400 Muslims appeared before the Commission. However the Commission submitted a pro-government report and washed away the claims of Muslim leadership. The political atmosphere in Kashmir now was being gradually dominated by Shaikh Mohammad Abdullah. He now embarked upon his decisive policy of eliminating his political rivals from the front line. At his instance Maulvi Ahmadullah Hamadani moved a “no-confidence” resolution in a public meeting at Khanqah-i Mualla on December 26, 1931, against Munshi Shahab-ud Din and Sad-ud Din Shawl. It was passed by the majority of people. The expelled leaders were alleged to be working against the interests of the Muslims. The Maharaja or Kashmir was also trying to streamline his relations with the Muslims to avoid any political uprising in the State. He was also aware of the fact that the Muslims of India had since associated themselves with Indian National Congress. He was conscious of the fact that the close contacts between the leader of Indian National Movement and those of Kashmir leadership would ultimately create tremendous difficulties for him. As a gesture of goodwill, the Pather Masjid was handed over to Muslims on November 1, 1931. 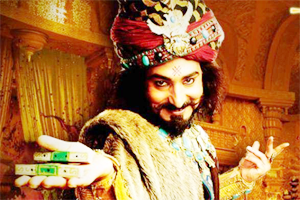 But these efforts of Maharaja bore no fruit. Allah Rakha Sagar of Jammu gave 24-hour notice to the State government for acceptance of Muslims demands. This was followed by disturbances in Jammu which compelled the Maharaja to seek the help of the British. On November 4, 1931, Gurkha Army arrived in the State to maintain law and order. The purpose was to represent both, Hindu and Muslim, communities in the Commission and made it secular in character. For delivering the provocative speeches, Mufti Zia-ud Din Poonchi was expelled from the State in January 1931. Shaikh Mohammad Abdullah was also prohibited to deliver any public speech. But defying the prohibitory orders, he addressed a public meeting at Khanqah-I Mualla on January 23, 1932, resulting in his arrest and six months imprisonment. Choudhury Ghulam Abbas, Abdul Hamid Khan and Mohammad Yaqub Ali sent a protest note to Maharaja on February 11, 1932, against the detention of the Shaikh in Central Jail, Srinagar. Demonstrations and protest meetings were held in different parts of the Valley. Moulana Mohammad Syed Masoodi joined the political movement at this juncture. He delivered the anti-government speeches in the protest meetings at Khanqah-I Mualla, resulting in his arrest and meeting with the Shaikh in Central Jail. It was in detention that Shaikh Mohammed Abdullah and Moulana Mohammad Syed decided to from a regular regional political party - Muslim Conference. The Glancy Commission submitted its report to the State government on March 22, 1932. The Hindus felt that its recommendations were not favorable to the interests of community and ousted Prem Nath Bazaz from the presidentship of “Sanatan Dharam Yovak Sabha’. 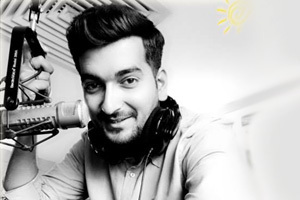 Jialal Kilam was the new President. In April, 1932, Kashmiri Pandits launched a vigorous agitation called “Bread Movement”, asking the Maharaja not to implement the recommendations of Galancy Commission. Hundreds of Hindus courted arrests in favour of their demands. Jialal Kilam, Kashyap Bandhu and other prominent Hindus supervised and guided the agitation. But, as usual, communal clashes took place in September 1932, killing the motive and spirit of agitation. Muslim Conference was formed in 1932. A convention of this party was held on October 14-16, 1932, at Pather Masjid under the chairmanship of Shaikh Mohammad Abdullah. The arrangements for this convention were made by Mirwaiz Yusuf Shah, Moulvi Hamadani and Moulvi Abdullah. The leaders of the newly-formed party demanded the implementation of the recommendations of Glancy Commission. On December 17, 1932, Shaikh Mohammad Abdullah left for Lahore to attend the working committee meeting of Muslim Conference. On his returns, January 20, 1933, Mirwaiz Yusuf Shah declared him a ‘Mirzai’, in his religious sermons at Khanqah-i Naqashband Sahib. This gave birth to regular clashes between the followers of Mirwaiz Yusuf Shah and Shaikh Mohammad Abdullah, now know as ‘Bakra’ (sheep) and ‘Sher’ (lion). To avoid the frequent clashes between their followers, a “Peace Agreement” was signed by these two leaders in presence of Wazir Mohammad Khan, Superintendent of Police. After these developments, Mirwaiz Yusuf Shah dissociated himself from Muslim Conference and also from the Shaikh. Moulvi Hamandani, who was involved in a long professional rivalry with Mirwaiz Yusuf Shah, wooed the support of Shaikh Mohammad Abdullah. The authorities of State government also sensed the professional rivalry between the two moulvis (preachers) and directed Mirwaiz Yusuf Shah to offer prayers in Jamia Masjid while Moulvi Hamadani was instructed to offer the same at Iddgah on the festival of Idd - April 16,1933. Mirwaiz Yusuf Shah perplexed by the government directives, went to Iddgah by way of protest to offer the prayers. To counter the move of Mirwaiz Yusuf Shah , Moulvi Hamadani entered Jamia Masjid. There were bloody clashes between the followers of two moulvies, who were known as “Cheka” and “Kota”. Dogra regime took a serious note of these clashes and charged the two moulvies of disturbing law and order in the Valley. Moulvi Hamadani furnished a bond for Rs. 1000, but Mirwaiz Yusuf Shah refused to furnish the same and decided to resist the pressures. The result was that the Mirwaiz was detained and taken to Udhampur Jail on April 27,1933. Shaikh Mohammad Abdullah was returning from Jammu on the same day and met the Mirwaiz at Kud. On his arrived in the Valley, he gave the details of his Kud meeting with the Mirwaiz. The rancorous remarks of Shaikh Mohammad Abdullah were resented by the followers of the Mirwaiz. The Muslims of Srinagar altogether got divided into rival groups - Sher and Bakra. Mirwaiz Yusuf Shah was released from detention on May 3, 1933, on the security-bond furnished by Sayyid Attaullah Shah Bukhari. On his release, Mirwaiz criticized Moulvi Hamadani and his close association with the Shaikh. It was followed by Sher-Bakra clashes. Shaikh Mohammad Abdullah was arrested along with some of his close associates and then released on August 7, 1933. The activities of Mirwaiz Yusuf Shah, Moulvi Hamadani and Shaikh Mohammad Abdullah were restricted to Jamia Masjid, Khanqah-i Mulla and Pather Misjid for three months. Mirwaiz Yousuf Shah and his associates - Abdul Rahim Banday, Munish Assadullah Vakil, Khazir Mohammad Zaroo, Munish Assadullah Hajji, Mama Barbazu and Abdul Salam Dalal, formed a party of their own and named it “Azad Muslim Conference”. To counter the activities of the Mirwaiz, Shaikh Mohammad Abdullah and his allies formed the “Shoda Conference” under the leadership of Ghulam Nabi Gilkar, Moulvi Abdullah Vakil, Mian Ahmad Yar and Bakshi Ghulam Mohammad. “Azad Muslim Conference” established its platform in Jamia Masjid and “Shoda Conference” decorated its stage at Khanqah-i Naqashband Sahib. Both these parties were attacking and counter-attacking each other. On Idd day, January 14, 1934, State authorities asked Moulvi Hamadani not to deliver the sermon (waiz) at Ali Masjid. The Muslims took it otherwise as an insult and protested. Moulana Masoodi, Sadr-ud Din Mujahid, Mohammad Maqbool Bihaqi, M.A.Sabir, Ghulam Mohiuddin Indrabi and Ghulam Mustafa Masoodi were arrested on January 28, 1934; and, expelled from the State for one year. Moulvi Hamadani was also arrested and externed to Lahore. Bakshi Ghulam Mohammad and Mir Ghulam Hasan Gilani were detained in Reasi Jail. Mohiuddin Zohra, Mohiuddin Kara and Mohammad Iqbal Capri were fined Rs. 1200 each. After the arrest of Bakshi Ghulam Mohammad, “Azad National Conference” accused him of corruption and misappropriation of the public finances. State Peoples’ Movement started again and the “dictators” (volunteers) were offering arrests from Khanqah-I Mualla. Mujahid Manzil was under construction those days. A meeting of All India Muslim Conference was held at Sialkot on February 10, 1934, in which decided to send “dictators” to Kashmir. But Shaikh Mohammad Abdullah turned down this offer. However, Choudhury Ghulam Abbas came to Srinagar and delivered a speech at Khanqah-I Mualla. He was detained by the State authorities. Moulana Masoodi and Sadr-ud Din Mujahid entered Kashmir in the grab of ‘gujjars’ (shepherds). They remained under-ground for sometime and then delivered a number of speeches at khanqah-I Mulla. Both of them were arrested in the last quarter of 1934. At this time, Sardar Gauhar Rahman arrived in Srinagar and opened a branch of ‘All India Muslim Conference’ here. All politics prisoners were released and formation of State Assembly announced on the recommendation of Glancy Commission. Elections were held on September 4, 1934, and Muslims Conference got five seats. A convention of the party was held at Sopore on November 11-13, 1934, and State government was asked to implement the Glancy Commission recommendations in full. After the convention was over, Shaikh Mohammad Abdullah left for India and toured different parts of the country. He was introduced to Jawaharlal Nehru. Mutual close friendship and confidence developed between the two leaders. After his returns to Srinagar, Shaikh Mohammad Abdullah appointed some non-Muslims as the members of Muslim Conference. Prem Nath Bazaz was asked to publish the newspaper - “Hamdard”. Sardar Budh Singh, Lala Girdharilal Anand, D.P.Dhar, Kashinath Karihalloo, Shamlal Saraf and J.N.Zutshi joined hands with the Shaikh and played a predominant role in the State Peoples’ Movement. A convention of Muslim Conference was held at Mujahid Manzil on October 25-27, 1935, in which a number of non-Muslims also participated. A river procession was taken out in which Choudhury Ghulam Abbas, Ghulam Nabi Gilkar, Shaikh Mohammad Abdullah and others participated. 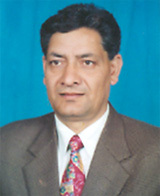 Choudhry Ghulam Abbas was elected the President of the party. Some Muslim, Hindu and Sikh younth also formed the “Youth League” in 1936. But neither Muslims Conference nor Youth League could prevent the communal clashes taking place in the Valley in June 1937, which were inspired by the British imperialism and fundamentalist forces to weaken the State authority. Whatever may be the reason, Kashmiri Pandits suffered either under one pretext or the other. As a community, Muslims have always targeted the Kashmiri Hindus in one way or the other. No doubt, the members of both communities enjoyed good mutual relations at individual level. But “Muslim Mob Mentality” has been always injurious to the Kashmiri Pandits. 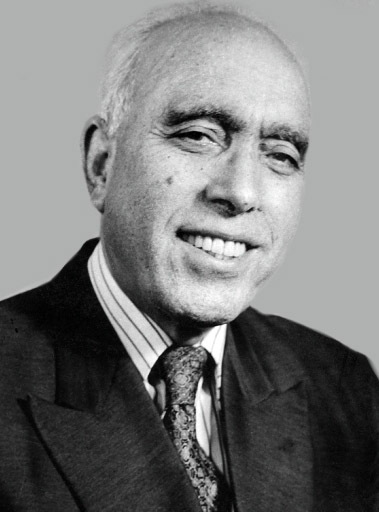 Mohiuddin Kara founded the “Kashmir Mazdoor Sabha” in November 1937. “Mazdoor-Day” was observed in Kashmir on November 14, 1937; with which started the labour movement and functioning of labour parties in the State. The 6th annual convention of Muslim Conference was held at Jammu from March 25-27, 1938. In this convention, a resolution was moved to change the name of party from “Muslim Conference” to “National Conference”, so that non-Muslims could actively participate in its programmes and also in the State Peoples’ Movement. 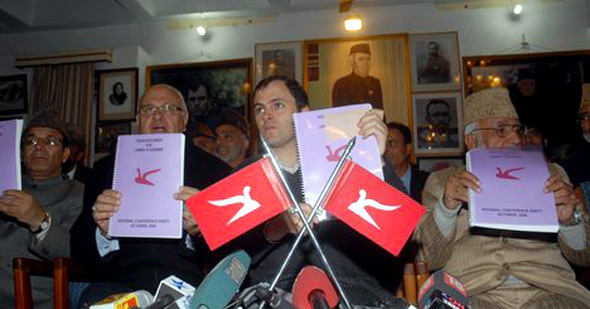 It was also proposed to amend the constitution of the party and adopt a new constitute by the name of “Naya Kashmir”. But the resolution was opposed by Choudhry Ghulam Abbas, Abdul Majid Qureshi and Shaikh Ahmaddin Banahali, who later resigned from the party. A historical convention of Muslims Conference was held at Pather Masjid, Srinagar, from June 10-11. 1939, under the presidentship of Ghulam Mohammad Sadiq. In this special convention, Moulana Syed Masoodi again adopted the resolution for the change in the name of the party; which was unanimously passed and the party was renamed as “National Conference”. Shaikh Mohammad Abdullah was elected its President. Jialal Kilam and Kashyap Bandhu also joined the new party. National Conference became a ‘lightening conductor’ for the Dogra rule and later on a ‘spring board’ for power struggle in the State of Jammu and Kashmir. *Dr Satish Ganjoo was born on May 1, 1956, to Shree Omkarnath Ganjoo and Smt Sheela Ganjoo in the Saffron Valley of Kashmir. He obtained the coveted academic degrees of M.Phil (1983) and Ph.D (1987) in Modern History and International Relations from the University of Kashmir. He held the distinguished faculty position in Govt. Degree College, Baramulla (Kashmir), Centre for Advance Study in Education and Technology, Srinagar (Kmr), CASET Post Graduate Evening College, Srinagar (Kmr) and the Centre of Central. Asian Studies, University of Kashmir. Now he is working as Head and Senior Faculty Member at the Post Graduate Dept. of History, Ramgarhia P G College (GNDU) Phagwra (Pb), with the additional charge of the Dept. of Computer Sciences and Information Technology. Besides Dr. Ganjoo is involved in different interdisciplinary research projects, participated in several seminars and wrote about sixteen research papers. His name was recommended for the Soviet Land Nehru Award (1991) and received recognition from prestigious NGOs --- Rashtriya Gaurav Award (2004), Best Citizen of India Award (2005), Vijay Shree Award (2005). He is the member of the Arts and Social Sciences Faculty, Guru Nanak Dev University, Amritsar; and, the life member of the Kashmir Education, Culture and Science Society. Thanks for this very detailed historical writeup. Respected Ganju Sahab, Your constant herculean efforts have enabled you to bring out the March Issue of "SHEHJAR". I will once again reiterate that it needs sincere, honest and time consuming efforts to bring out a magazine.My salute to your efforts. Prayers for your continued energy. The Birth of "NATIONAL CONFERENCE" by Prof. Satish ganjoo is thought provoking and lot of efforts must have gone to write it. Please convey my thanks. It brought back the memory of my late Father Sh. N L WATTAL , Journalist, who was a witness to all these changes from close quarters. Once again my congratulations. Respected Ganju Sahieb regards Thanks for the detailed historic write up. Please oblige me by informing me about the Bread Movement and Karra's labour movement. Really an informative source,many things i knew from this article,thanks to all those who made this publish.Finally kashmiri pandits were always suffers,1990 exodus was not new.